Andy Thompson (born in Philadelphia, raised in Boston, MA) is a spiritual educator, a leader, a motivator of men, a man of faith. He uses modern day parables, humor and truth to challenge spiritual thought and growth in people from every cultural or economic background. He is founding and Senior Pastor of World Overcomers Christian Church, currently located in the Research Triangle Park area of Durham, North Carolina, a few miles west of RDU Airport. The church, which was started in January 2003 is pushing close to 10,000 people in less than 10 years, making it one of the fastest growing churches in America. Pastor Andy began preaching at the age of fifteen, and spent his early years as a youth pastor and evangelist, literally traveling the country, preaching to youth and young adults. During his twenty-five years in the ministry, he has been a Youth Pastor, Pastor of Evangelism and Follow-up, Executive Pastor, and Senior Associate Pastor. In addition to his pastoral experience, Pastor Andy played a major role in the operation and organization of two mega ministries. These experiences, coupled with his experiences from founding and growing his own mega ministry, have caused many to seek his expertise and advice on church growth, and given him a unique message for the body of Christ today. In addition to pastoring World Overcomers Christian Church, Pastor Andy provides spiritual counsel and mentoring to young and upcoming pastors through his Healthy Church conferences. He feels called to train and equip the next generation of pastors and leaders with the knowledge they need to excel in ministry, wins souls for Christ, and promote the gospel of the kingdom in a practical and relevant way. Formally trained at Rhema Bible Training Center in Tulsa, Oklahoma, Pastor Andy also has a Bachelor of Arts in English with a concentration in education from the University of Massachusetts. 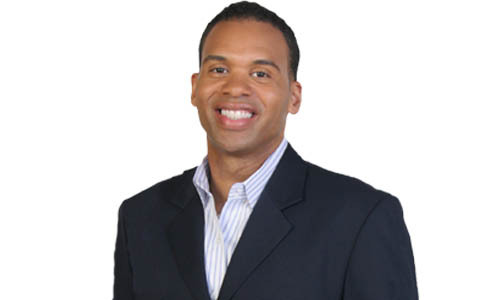 His television ministry, The Truth with Andy Thompson airs locally in Raleigh, NC on WRDC, in Charlotte, NC on WJZY and streams weekly at www.wocconline.org/livebroadcast. Pastor Andy and his wife Lashawn have been married for 21 years and have one daughter and three sons (triplet boys).